» Association: Citizen of the Greater Future Coalition. » Appearance Written: Unassuming. That would be the best way one might ever describe Julian, for if one were not aiming to specifically remember his appearance, it would likely not stand out all that much. He stands an unremarkable 5’ 7” tall, has white hair which is not an especially bright or ashen or generally deserving of any sort of descriptor beyond “white” and which is rather plainly arranged on his head. His eyes are a light blue, not necessarily cold or piercing enough to be called “icy,” and generally seem to be watching the world as any normal person does in their day to day life, more or less disinterested but occasionally interested in something minor. 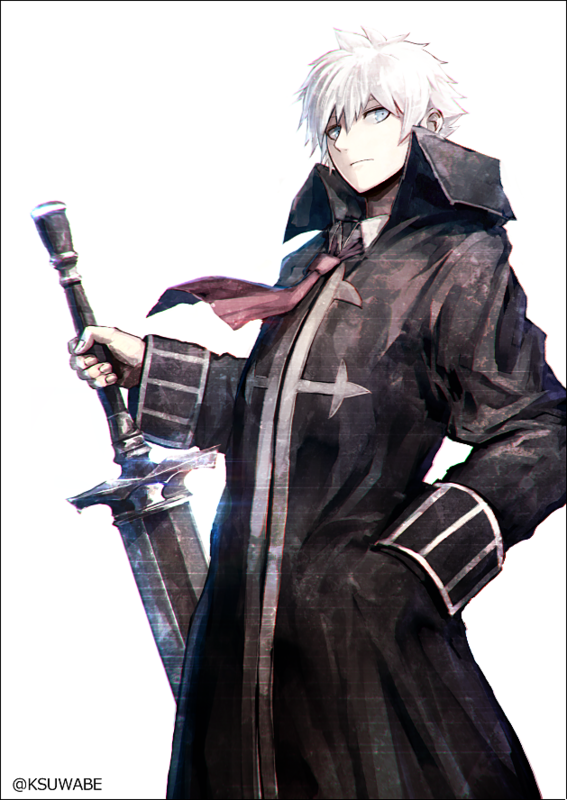 His attire is somewhat remarkable, but not what one might call “memorable” upon a first impression, wearing nice-enough looking clothes generally speaking. Pants, vests and waistcoats over collared shirts, suspenders, etc. These outfits are usually obscured, however, by the fairly plain black coat that he wears a great deal of the time, which in itself may serve as only a further complication were one to try and pin down his appearance. A black coat is, after all, fairly unremarkable as far as overwear goes, particularly if trying to stay warm or even just look relatively fashionable. His build and complexion, too, are fairly plain and would not generally be worth commenting on. If one were to see his musculature, perhaps finding him in a public bathhouse or other such place, they would find that he seems to have a quite normal build for an everyday working man. He is well-built, but lacks definition, suggesting that this is brought on by hard labor rather than any sort of training regimen. His skin is moderately pale, hardly ghost- or snow-white, and he lacks any hugely identifying scars or marks upon his body, only assorted minor nicks here and there that would line up with the assumption of physical labor as his work of choice. Overall? Forgettable, normal, an everyday citizen. » Man of the People: Beyond all else, Julian is a man who believes in the rights and value of the everyday citizen. He holds dearly the ideal of a just and equal society, where everyone is held to a perfectly even standard and where the law is always meted out fairly. This belief is, without a doubt, the single most absolute thing that Julian could ever hold dear, and he would fight for it to the absolute bitter end. Of course, there is also a certain...darker side to this. That is to say, if you are not a member of the common citizenry, and place yourself in a position above them, either through noble blood or through station, he sees you as an immediate target for removal from society entirely. Let them be erased, for their very presence is a stain upon the culture we must strive to build. » Mastermind: If you wish to begin a revolution, then straightforward violence can hardly be called the answer. There is certainly a time and place for fighting, a very useful power in challenging a tyrant directly. Unfortunately, this is not a practical approach for Julian to ever consider taking in his quest for justice. This is perfectly fine with him, however, as he is all too willing to play the long game with his plan, manipulating situations from the shadows and biding his time for the perfect opportunity to strike. He has plenty of time to pursue this mission, and the Coalition is hardly failing to gain new members or retain its old ones. Julian sees no reason why he would stand up and fight himself now, when he could lead the people simply through suggestion. » Prideless: Perhaps the greatest personality trait one might possess if trying to lead a secret revolution, Julian feels no particular draw to glory or fame. He seeks no sense of personal excellence from his goals, and should they ever be well and truly accomplished, he would gladly continue to live his life as any other everyday man would. There is not a single ounce of pride in himself within Julian's bones, only pride in his fellow citizens and in the ideal that they strive to create. For him, that is far more valuable than anything which he might personally achieve or acquire. He is only one man, and were he to seek out that sense of glory, he would be no better than those very same aristocrats he aims to topple. » Pitiless: If one is to enact justice for the good of the people, there can be no place for half-measures or unmet goals. Julian sees pity for the victims of the revolution as nothing more or less than an act of treason toward the future the Coalition is building, and expects that same cold, clinical approach from all of his fellow citizens. To punish oppressors is simply the natural order; to grant them a reprieve is nothing short of a moral failing, an action taken against the common public good. To that end, Julian would gladly take any life if it brought the cause forward. » Introspective: Perhaps shockingly for a man with such a supposedly single-track mind, Julian is actually rather exceptionally fond of thinking all things over. Of course, the primary focus of those thoughts happens to be his own actions and decisions, all of the choices he has made in his life. He does not regret where he has found himself, but he does perhaps lament the events which led him there. It would be impossible to truly say for certain without speaking to him directly, and he certainly has no time to speak about himself when there is revolution to be organized. » Revolutionary: To bring forth a change for the good of the people is the absolute moral prerogative of anyone who understands that the current state is unjust. To that end, Julian holds within his heart a complete devotion to the cause of the Greater Future Coalition; to tear down the current system of the Soul Society by any means necessary. 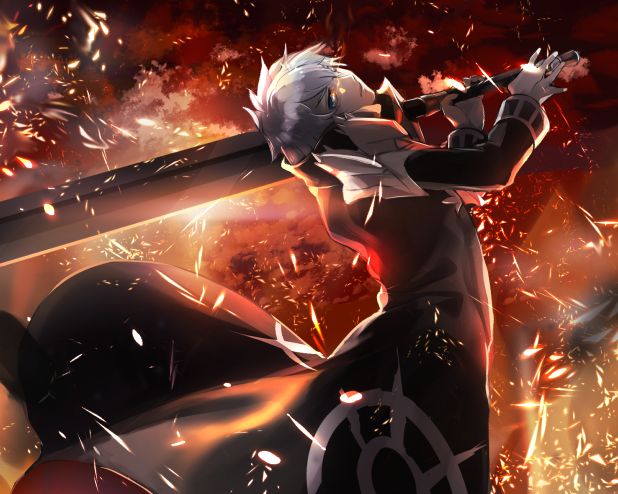 He will bring a brighter day for the commoners of the Rukongai, turn the slums into every bit as livable and welcoming a place as any other district, and remind the people that, despite living in their ivory towers of the Seireitei, the shinigami are no better or more worthy than they are. All men and women deserve their day, their time to shine, their equal and inalienable rights, and Julian will gladly die for those very same rights. Who is Julian St. Vendemiaire? Well, that is a rather difficult question to answer, and indeed it would mostly depend on not only who you asked, but who was asking the question. On account of his being an unremarkable citizen of the Rukongai, there are effectively no formal records of his existence, only secondhand accounts. If you were to ask the people of Rukongai themselves, the name Julian St. Vendemiaire would not ring much of a bell. With such a name like that, wouldn’t it be better to be asking the shinigami if they knew someone like that? However, if you pried a bit more, asked about the Greater Future Coalition or even simply if they knew anyone who had referred to them as “fellow citizen,” they might mention a handful of kind men and women who had brought them food in a time of hardship, who carried weapons and yet were clearly no shinigami. Unfortunately, they would know little else, and this is hardly much of a history about one man. When Julian himself is asked about his past, he speaks very little on the matter, but his reaction would be quite more extreme if a shinigami were to ask him. He claims that he has personally suffered at the hands of the shinigami, and that he does not much wish to bring up the hardships of the past, only the brightness of the future. Of course, that is his response to people curious about joining the Coalition and to fellow citizens of Rukongai. To the shinigami, Julian spits nothing but vitriol, asking if they have ever thought about the suffering in Rukongai, or about the lives they may well have caused to enter such a sad state. He may well be driven to tears, asking if they remember any faces, asking if a kind young girl with silver hair and the kindest of blue eyes comes to mind. What is the absolute truth of the matter? Julian St. Vendemiaire is but a pseudonym, taken on by a man who has long since cast aside his personal life and identity for the sake of a cause. His own true name has been lost to time, but it is true that this young girl that might cause him to cry out in pain was close to him. She was a daughter, to be exact, and her death is one she blames not on the cruelty of the shinigami, but instead on their apathy. It was a fight in his own neighborhood between a shinigami and his quarry, nothing more and nothing less, but one for which he was not present. He had gone out to find what little food he could, and when he returned he found his home, alongside several others, already ablaze. The shinigami had been one who used fire, and considered his work more immediately pressing than the safety of the commoners in Rukongai. Having already handled his quarry, he simply left without handling the aftermath of his actions, leaving it instead in the hands of the people. Though Julian tried to claw his way inside, the building had already well and truly collapsed, and he was never able to even find his daughter’s remains. Life in Rukongai had never been an easy one, but his darling little girl had been the one light in his life, the thing that he considered the entire struggle to be for. All at once that was snatched away from him, such a beautiful, innocent smile he had worked so hard to protect. Was their poverty not enough for the shinigami to rub in their faces? Were they truly so worthless that their lives, their comfort and security, were simply second to the shinigami? Julian had heard many a time that they were supposedly protectors of the realm, that they were intended to enforce the law and keep the peace, and yet it seemed that they were nothing more than a statistic to those protectors. It seemed “the peace of the Rukongai” was not truly a goal, only some semblance of order which left the members of the Gotei, safe and secure in the Seireitei, from needing to step own from their pillar. That, Julian realized, was simply not right. He began to accumulate followers, slowly at first. He did not openly shout these ideals from the rooftops, as that would surely draw the attention of the Gotei and have him and his cause wiped out all at once. No, he simply opened up the discussion with acquaintances in those places where people naturally spoke their mind a bit more openly, the bathhouse, the bar, over dinner at a small shop, and other such places. His following grew and grew, as more commonfolk found themselves agreeing with Julian’s rhetoric, and yet he was always quick to add a single falsehood to these conversations; never once did he take any sort of credit for these ideas. Instead, he attributed them only to “a friend,” “an acquaintance,” and other such nebulous (and fictitious) entities. Thus the following he had created did not see him as any sort of leader, but instead simply another everyday man, just like themselves. Even when introducing new members to one another, or to potential initiates, his behavior was always like that of an equal rather than a superior. There was no desire for glory or power in this cause. Only justice. The first true success of this movement came rather suddenly. It was not planned, and Julian himself had nothing to do with it. A single low-level shinigami had acted cruelly toward one of the citizens, and in that moment several members of the movement happened to be present. They exchanged a few short words to establish a plan, and then went to work. Most of them quickly hid in an alley, while one of them threw a rock at the Gotei member and goaded him before running off into that very same alley. The moment this hotheaded shinigami gave chase, the citizens attacked him all at once with whatever they had on hand, be it garden equipment, lumber, or even rocks. It was brutal and savage, but it was nevertheless effective, and before long they had a dead shinigami before them. Burying him in a back garden, these members took the shinigami’s zanpakuto as a trophy, to show to their fellow citizens who had joined the movement. Most were quite content to allow it to serve as nothing more than a sign of their victory, but when Julian heard of it, he mused aloud that it would be quite nice if they themselves could have such convenient tools as zanpakuto. As he suspected, someone else then suggested the idea Julian himself had already considered; that they might be able to use the zanpakuto for their own ends. One person with a zanpakuto would not, however, be nearly enough to fight for the cause in the long term, not if they were to truly win. Thankfully, however, it seemed that there were others within the cause who had begun to truly think ahead besides Julian. It was suggested that, rather than just trying to use the zanpakuto, they study it and do their best to determine how it worked, or at least bend it in a manner more fitting to the goals of their movement. While one could go into elaborate detail about this process, let it suffice to say that it was more or less a failure. No matter how much they wished, a group of Plus spirits within the Rukongai simply did not have the knowledge, power, or general ability to genuinely unlock the secrets of the zanpakuto. Thankfully, however, they had an alternative idea. Knowing fully that a zanpakuto bonded to those who used it, they decided that, as they wished only to use it for their own singular, unified aim, that they could potentially bond it with that ideal rather than with any one of them. To that end, the zanpakuto was passed among the movement, a different holder every day, each one with only a single thing in common; a dream of revolution. Astoundingly, this plan worked. It took many years longer than the usual awakening of a zanpakuto, but it did function nonetheless. A meeting was called of everyone who had held the blade, and they spoke at length about what to do from then on. A few called to rise up against the Gotei now, but that idea was dismissed. It would take a great deal of time before that could properly take place, and eventually it was decided that, even with such a monumental increase in their capabilities, the movement still needed a great deal more members, and to spread their message carefully, but assuredly, among the people. As this meeting adjourned, Julian called a thank you to the Greater Future Coalition. The assembly was confused, and rightly so, for none of them had heard the name until now, and Julian had only decided upon it a few short minutes ago. But Julian responded to their confusion with a carefully measured amount of feigned confusion in turn. Had they not heard? That was the name of their movement, recently decided. He had heard from a few other members, and was rather surprised that the message failed to reach them, though it made sense seeing as recent priorities had been on the zanpakuto instead. He shrugged, giving them all a wave as he departed into the night. » Executioner’s Blade: Though one might initially think this sword would serve as a perfect identifier for Julian, it is in fact far from it. Every member of the Coalition has an identical copy of this blade, and they are able to disguise it as anything they wish when it is not in use. Julian’s own blade has the hidden form of a pair of plain silver cufflinks on his coat, which emit no particularly notable spiritual energy. » Zanpakutô Spirit Appearance: The spirit of Epee de Justice takes a rather strange form, a figure seemingly composed of a white waistcoat and cloak with a head of shadows forming from the neck of his attire, with a jagged red smile crossing his face, and a single eye glowing much the same shade visible above, the other strangely obscured behind a reflective monocle. A white top hat covers his eyes partially, though only enough to provide some level of shade to them rather than outright obscuring them. 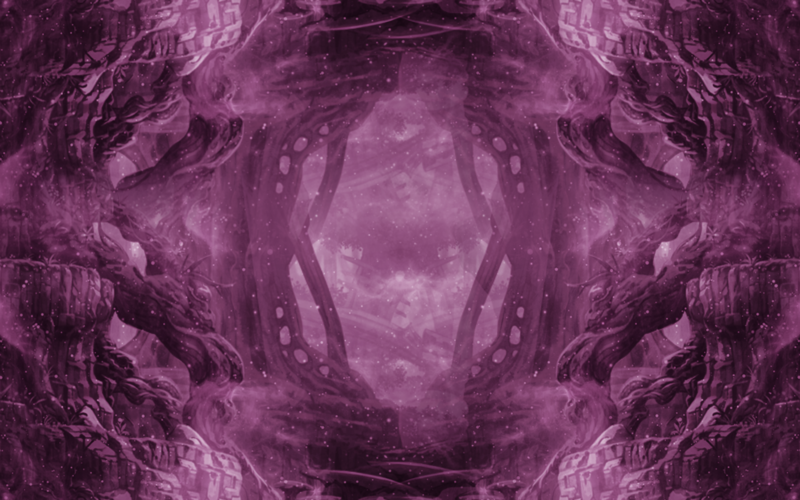 He has no body to speak of apart from his head, his waistcoat simply opening into nothing and his cloak’s interior resembling much the same shadow as his face, accompanied by what seems to be the stars, as if a look into outer space. 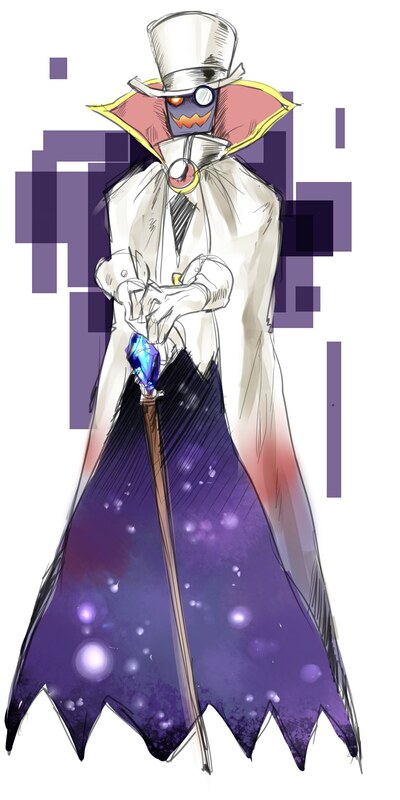 Despite having no arms, two white gloves still float about him and operate as if they were properly attached, and within one of them he carries a wooden scepter with a large blue crystal at its head. » Inner World: Epee de Justice has no Inner World. » Zanpakutô Appearance: Epee de Justice, being a false zanpakuto, in fact takes two forms. The first of these is not a single sword, but instead the many Executioner’s Blades which belong to each member of the Greater Future Coalition. The second, which is in fact its true shape, is a large, elegant black book with a large blue gem in the center of its cover, which appears to be entirely empty, but contains seemingly endless pages if one attempts to flip through it. 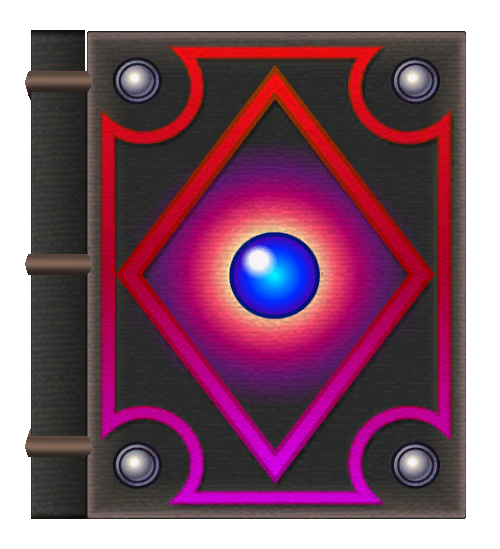 This book can be summoned by any wielder of an Executioner’s Blade, and only the summoner is able to read its contents, a list of the names of every member of the Coalition. » Sealed Zanpakutô Power: Rather than functioning as a singular zanpakuto, this falsified zanpakuto is, simply put, the combined spiritual manifestation of every member of the Coalition, and serves as their unifying power. When a new member is inducted into the Coalition, their name is permanently inscribed within the book of Epee de Justice, and they immediately are able to manifest an Executioner’s Blade of their own. » Release Phrase: "Pity is treason." » Release Appearance: When released, the Executioner’s Blade disappears from Julian’s hands, and instead takes the form of a fully functioning guillotine. » Release Abilities: It must be noted, before elaborating on the abilities of this release, that it is only usable against NPCs or with permission from the other player, and in no other circumstance. The unnamed release of Epee de Justice is not complex, and it embodies the absolute ruthlessness of all who have pledged themselves to the shared cause. Should one find themselves placed within the confines of Epee de Justice's guillotine form, it is best to abandon all hope then and there. The soul is locked into place within the guillotine, and only the absolute most powerful forms of instantaneous movement or unshackling techniques could free it. The blade itself will slice through the neck of its intended victim without any resistance, ignoring all forms of defense. Once a person is beheaded by the guillotine of this release, they are (rather obviously) immediately killed. 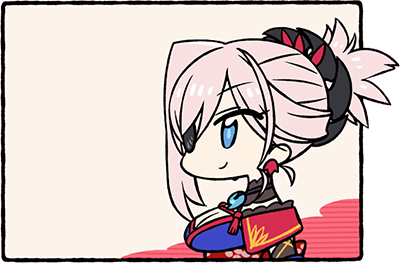 More dangerous, however, is the fact that the soul of the slain is completely obliterated, much in the same manner as a Quincy’s ability to destroy souls. Nothing short of extreme manipulation beyond the scope of healing could bring one back from death at the hands of Epee de Justice’s release, but it is not a total conceptual erasure. Comments/Notes: Revolutions are so 19th century though.